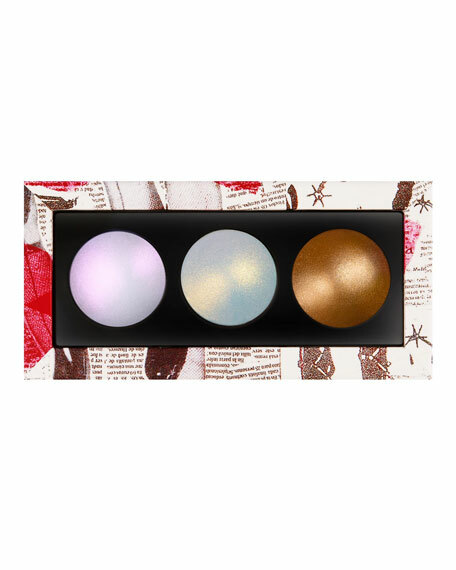 A trio of pearl-infused, gel-powder highlighters that create a resplendent range of multidimensional effects. Apply each shade individually or combine for a ménage à trois of captivating celestial radiance. Apply pigment in a sweeping circular motion with the Buffer 003 Brush (sold separately) to ignite otherworldly opulence. 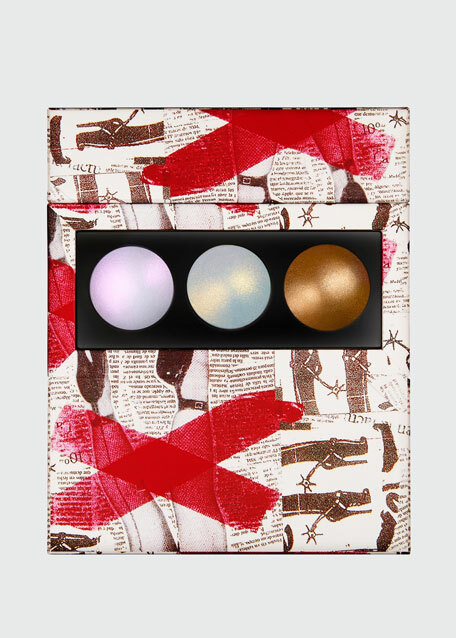 Explore each shade individually or layer all three along the high planes of the face and body. Illuminate the tops of cheekbones, center of eyelid, browbone, bridge of nose, Cupid's bow, shoulders, and décolletage for a tantalizing triptych of legendary luster. 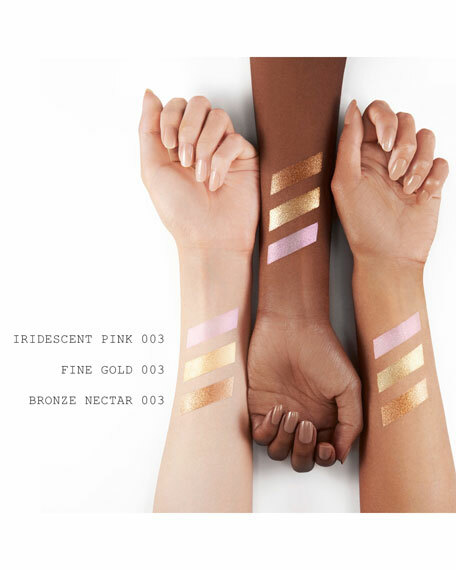 Layer over the SKIN FETISH: Highlighter + Balm Duo (sold separately) for the ultimate in aliengelic nirvana.